Carrie Underwood joins Jason Aldean, Sam Hunt and Blake Shelton as only artists with two tracks on this week's chart. At #1 on Country Music's Top 30 Digital Singles: Week of February 4, 2015 chart is Sam Hunt's "Take Your Time" a song which has now sold nearly 340k to date. 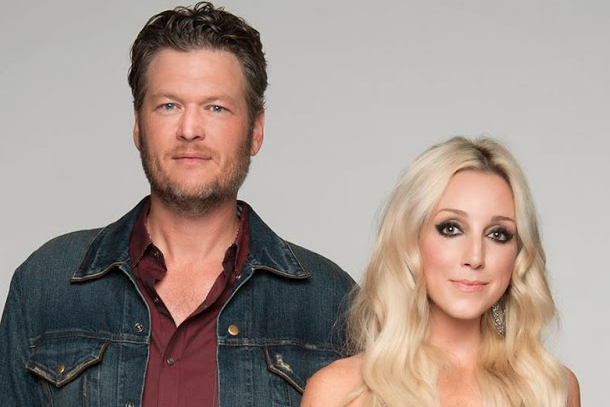 Blake Shelton and Ashley Monroe's "Lonely Tonight" sits at #2 with sales now at 343k to date while Thomas Rhett's "Make Me Wanna" jumps to #4 with sales of 25k to bring totals for the single over 405k. Florida Georgia Line's "Sun Daze" slides to #4 but still is a good bet to get Gold soon as sales are now nearly 450k to date while Luke Bryan's "I See You" rounds out the Top 5 and has now scanned 371k to date. It's the 6th and final #1 single from Crash My Party (which is a new Mediabase radio chart record). Eric Church's former radio #1 hit "Talladega" sits at #6 this week with sales of 444k to date ensuring the single will eventually score a Gold RIAA certification. Carrie Underwood's "Something In The Water" slides into #7 with sales now at 824k for the seven week Billboard Hot Country Songs #1 (a record for her). Lee Brice's "Drinking Class" is also close to Gold status with 439k fans now owning the second single from I Don't Dance. Cole Swindell's third single from his self-titled debut, "Ain't Worth The Whiskey" is at #9 with sales now at 294k while Zac Brown Band's three week old "Homegrown" sits at #10 (not bad for a song which is still rising the charts as a typical new single debuts high and falls off this rundown). Little Big Town's "Girl Crush" continues its upward momentum on the download charts with sales of 110k to date (more than Kenny Chesney's recent #1 hit "Till It's Gone" scored and "Crush" is only #31 on the radio chart). RaeLynn's "God Made Girls" has now scanned 447k to date and DID get a Top 10 placement on the Billboard Hot Country Songs chart despite only peaking at #16 on the radio airplay charts last week. Chris Young's "Lonely Eyes" is nearing another top result for the talented vocalist and it has sold 268k to date while Carrie Underwood's "Little Toy Guns" makes its debut on this chart with sales of 14k last week. Randy Houser's "Like A Cowboy" has now scanned 275k while A Thousand Horses debuts with "Smoke," their rising debut single for Big Machine Records. Maddie & Tae "Girl In A Country Song"
Kenny Chesney "Till It's Gone"
Aaron Watson "Bluebonnets (Julia's Song)"